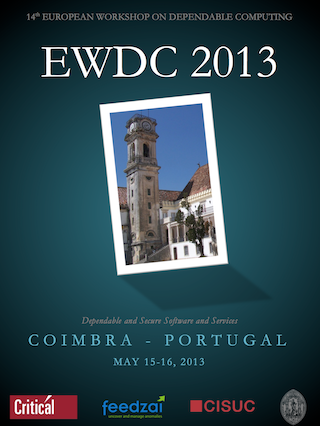 I would like to warmly invite you to EWDC-2013 in Coimbra. After the first series, started in 1989 and held on a yearly basis until 2000, EWDC was recently revived with the 2009 edition in Toulouse. EWDC runs alternatively with EDCC (European Dependable Computing Conference). 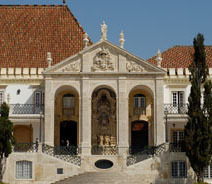 As the next EDCC edition is in 2014, the workshop is planned in 2013 and will be hosted at the University of Coimbra, Portugal. The University of Coimbra is one of the oldest universities in Europe (established in 1289), and Coimbra is a small city built around the University, again along the European tradition of University towns. We hope to be able to receive you here next May! EWDC 2013 will focus on dependability and security of software and services. This is a challenging theme, especially when considering that information systems are more and more based on complex, heterogeneous, dynamic software and services, which are characterized by demanding quality attributes. How to get to Coimbra? © EWDC2013 | Design by 4Templates | Design provided by Free Website Templates.